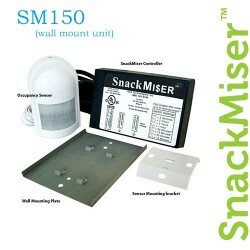 SnackMiser SM170 with Passive Infra-Red (PIR) Occupancy Sensor. 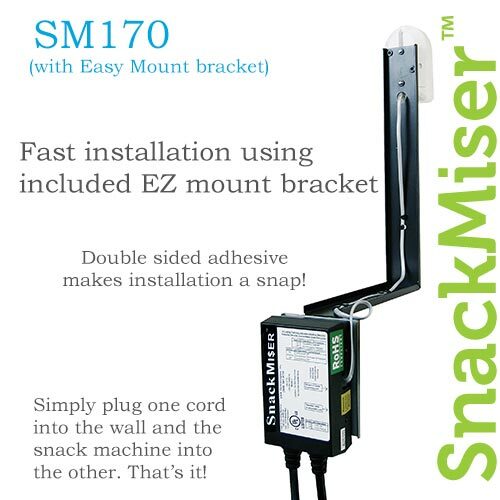 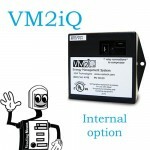 EZ Mount Z-Bracket for indoor use attaches directly to snack machine with industrial-strength Velcro. 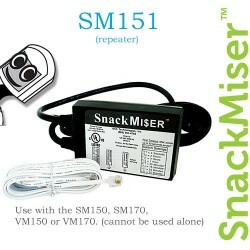 Installs quickly and allows SnackMiser to move with the machine. 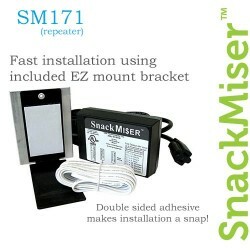 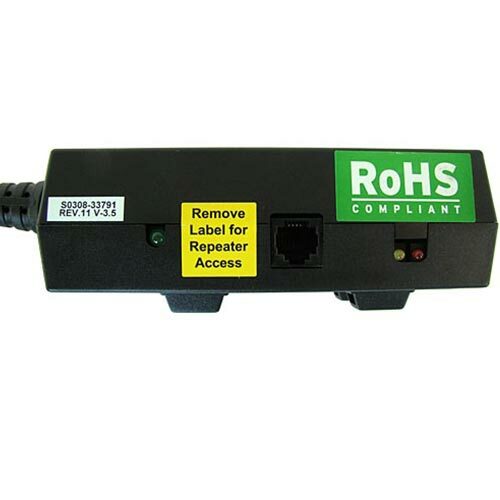 Use in locations where snack machine placements are subject to change or if wall mounting is not desired.